Call 214-564-1407 to place and order. Click on each image to enlarge to see sample of the intricate detail. 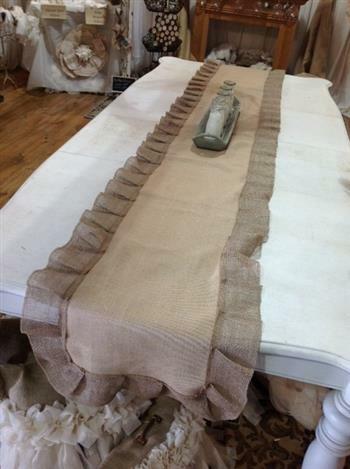 Ruffled Runner - This table runner is trimmed with a 3" ruffle adding 3" to all sides making the runner an overall size of 20" x 78", 20"x 96" and 20" x 114".